Sandra Marie Hylant, Esquire, has been Title Counsel, Vice-President, and Member of Midland Title and Escrow, Ltd. since 2008. Her responsibilities include overseeing day-to-day operations and working to grow Midland as a business. Prior to 2008, Hylant had been Title Counsel and Vice-President of First American Title/Midland Title; Title Counsel, Vice-President, and Minority Shareholder of Midland Title Agency of Northwest Ohio, Inc.; and Vice-President, Corporate Secretary, and Principle Shareholder of Ameri-Land Title Agency, Inc. Hylant's past experience also includes Title Counsel for Great Lakes Land Title Agency, Inc.; Law Clerk for Court of Common Pleas of Lucas County; Law Clerk for Gibson, Yarbrough & Welly; Law Clerk for International Business Machine Corp.; Research Assistant at Indiana University; and Research Assistant for Police Services Study (St. Louis, MO). Hylant graduated with honors from the Ohio State University College of Law with her Juris Doctor Degree in 1981. She graduated with Bachelor of Arts Degrees in both Political Science and Forensic Studies from Indiana University in 1978 and attended Athens (Greece) University College of Law in 1979. Hylant was admitted to practice law in Ohio in 1981; in Michigan, in 1985. Hylant is involved in the local community and enjoys spending time with her family. 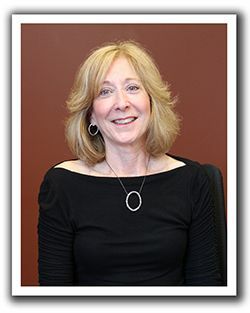 Sandra Hylant, Vice-President of Midland Title and Escrow, Ltd., has recently been appointed Vice Chair of the Board of Trustees at Lourdes University for the 2014-2015 year. Hylant was the 2013-2014 Board Secretary. The Board of Trustees is the governing body of Lourdes University, and its fundamental responsibility is making sure the university is fulfilling its stated mission.